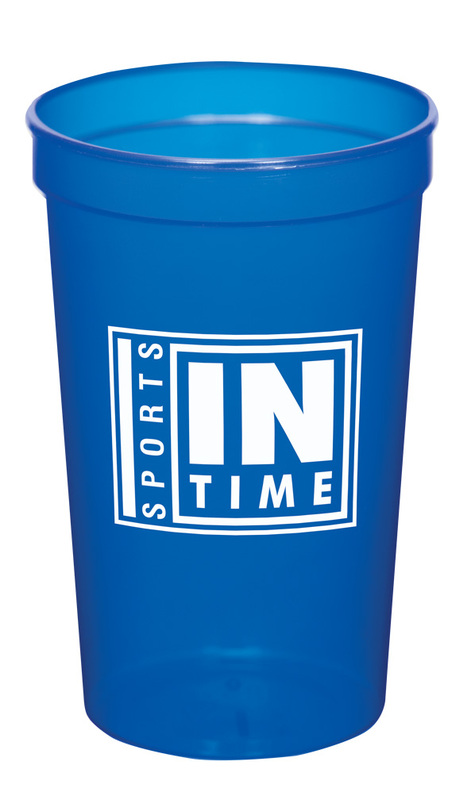 Really impress your customers when you include this 22 oz. 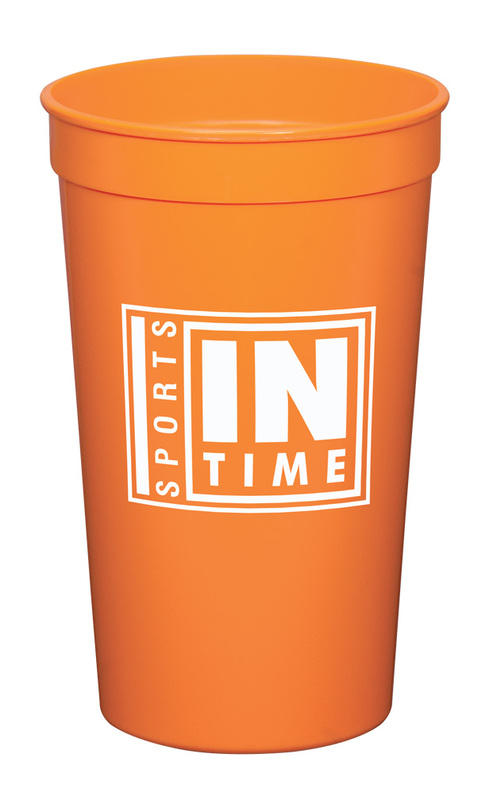 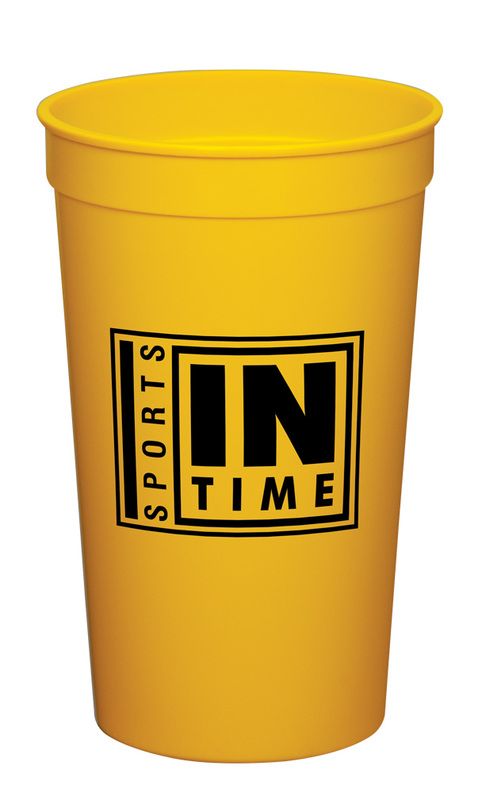 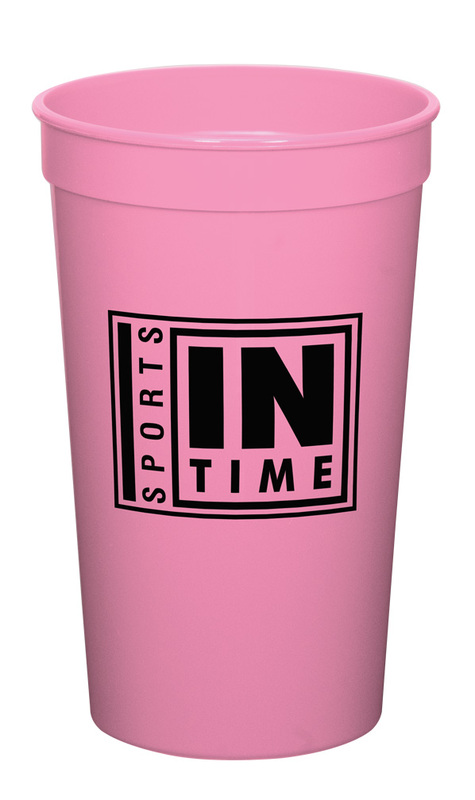 Stadium Cup in your next outdoor event! Available in several color options, it can be customized with a single color silkscreen design. 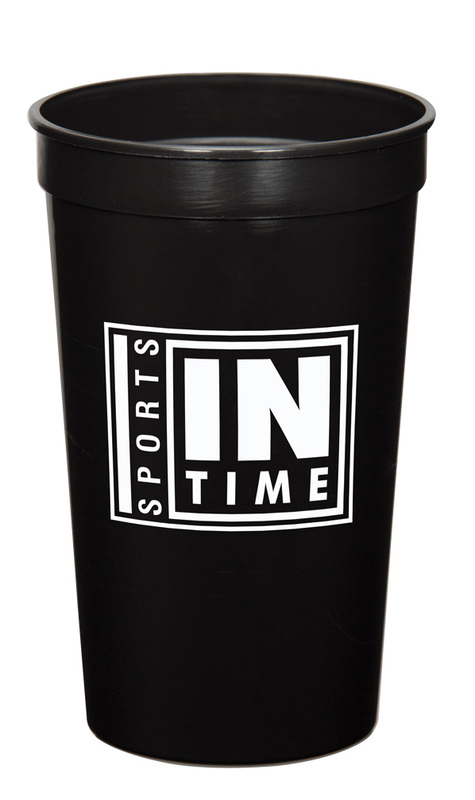 See your advertisement on one side, two sides or as a wrap. 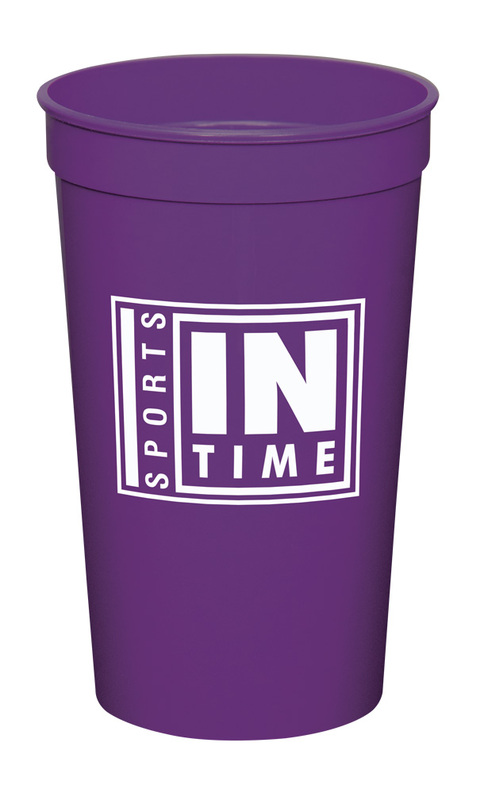 The polypropylene drinkware has a smooth, glossy surface and a large imprint area to get your branding message across clearly. 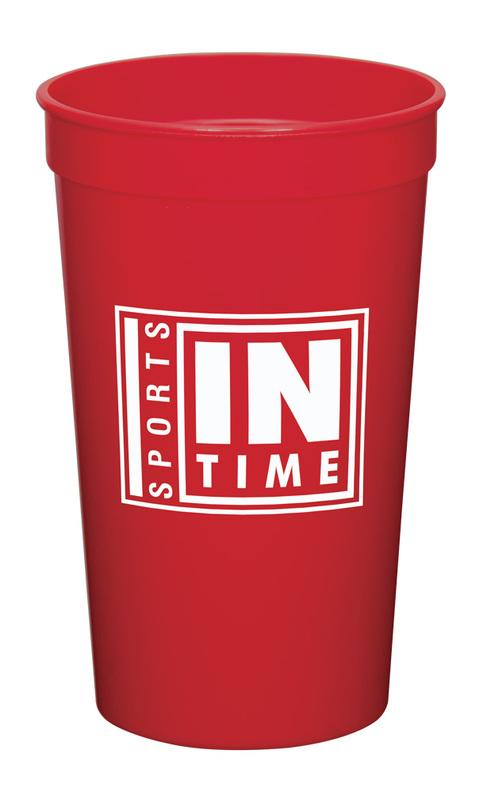 It's made in the USA and top rack dishwasher safe. 500 per case / 27 lbs. 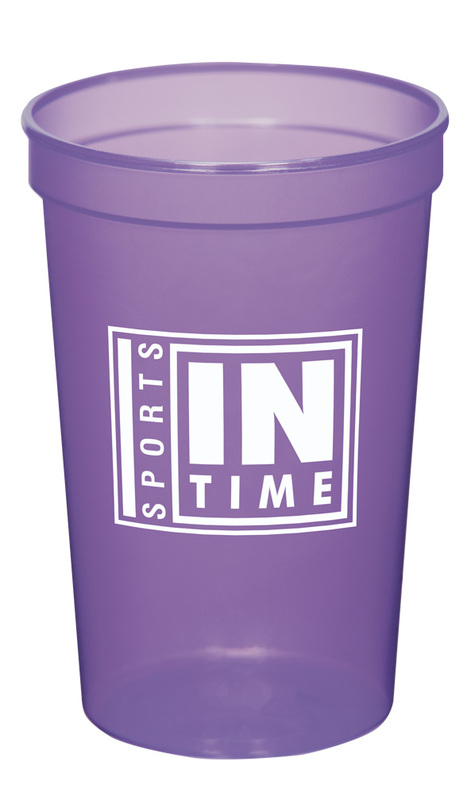 COLORS: Natural, White, Black, Orange, Pink, Purple, Yellow, Trans Blue, Trans Green, Trans Purple and Trans Red. 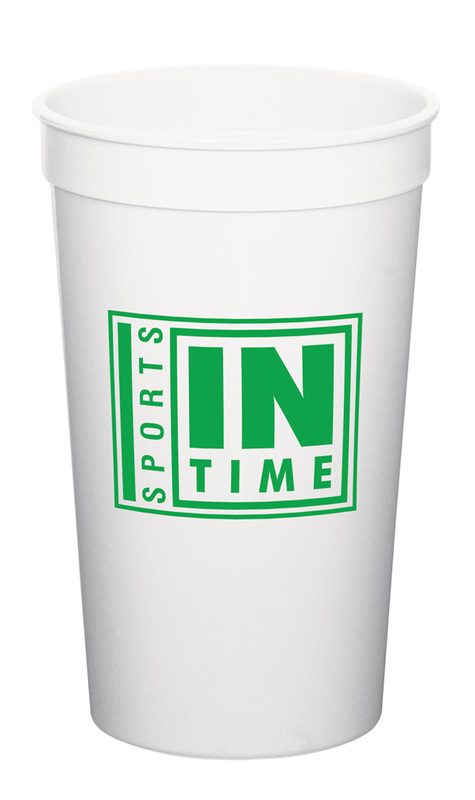 Price includes a one color silk-screened imprint on one side, two sides or a wrap. 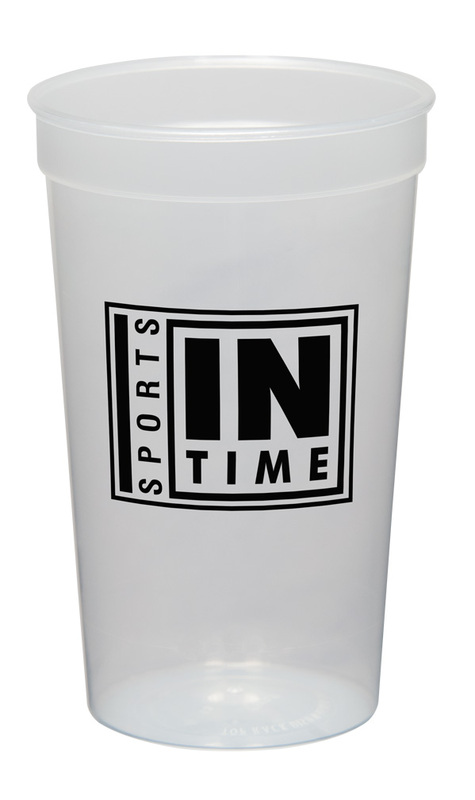 Unless specified, a one-sided imprint will be printed.